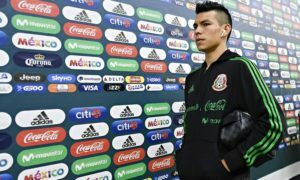 @cesarhfutbol what formation must El Tri use for future success and who is the next generation's great striker/9 going to be?? I personally like the idea of having an attack-friendly 3-4-3 against defensive opponents and then a 4-3-3 against tougher opponents, perhaps even a 4-2-3-1 if needed with two DMs. 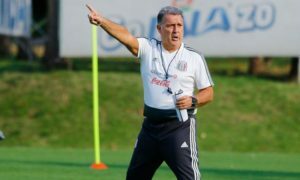 El Tri easily has the roster options to use those systems. As for next great striker. In the immediate future, I still think there is time for Raul Jimenez and Erick Torres to step up and be impact players. Looking further down the line, I would keep an eye on Santos Laguna’s Ronaldo Cisneros. Pictures of you with puppies? Holding a basket of puppies? Kittens and puppies? Maybe a picture of you at the beach, staring thoughtfully into the sunset with a single rose in your hand. I have no idea, I’ve never used Tinder and would clearly be awful at it. 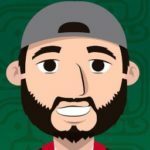 @cesarhfutbol @FutMexNation Should El Tri play in Monterrey or Guadalajara more often if they move home games away from the Azteca? Most definitely! Even if Mexico gets a big win tonight, it’s time for the FMF to seriously consider other alternatives. Monterrey’s new stadium and the Estadio Chivas would be perfect venues. Monterrey would especially be cool because you could have fans from Texas make the trip. Estadio Caliente in Tijuana is also an interesting option, buuuut I’m not sure how the national team would feel about not playing on grass. @cesarhfutbol @FutMexNation A Tribe Called Quest or Wu Tang? A Tribe Called Quest over everything. 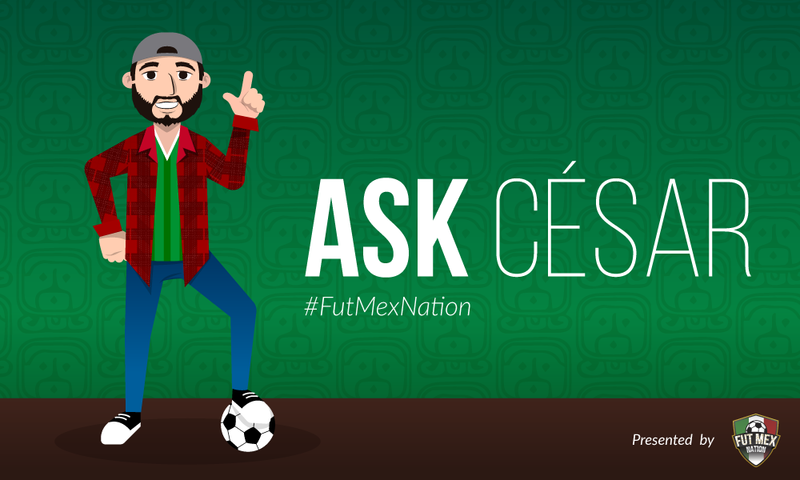 @cesarhfutbol @FutMexNation First and foremost, what do you think the score for Mexico vs. Costa Rica will be? I’m thinking Mexico will get a 2-0 win tonight over Costa Rica. Goals from Chicharito and Carlos Vela. @cesarhfutbol @FutMexNation Despite all negative reactions to gk chant, how do you think it would fare in Russia during the confed cup? I don’t think it would go over very well. The league, and FMF, have done a terrible job at approaching this situation. Something better needs to be done from both organizations in order to stop the chant. Long live #AskCesar! Down with #AskHector! @cesarhfutbol @FutMexNation What's your prediction on the team's starting 11? Hmmm, don’t watch enough of Theo Walcott to make a fair comparison. Does Theo love to run down the right wing with incredible pace? @cesarhfutbol @FutMexNation just remembered what else I wanted to #AskCesar what soccer team do you support?? The Mexican national team is #1 in my heart. After that, I try to remain unbiased in my work so I do my best to not “support” certain club teams. That said, I can’t help but feel a bit happy when a certain unnamed Liga MX club scores, haha. @cesarhfutbol @FutMexNationwill will Osorio's rotation system be el Tri's downfall? it seems to prioritize individuals over team work. It’s not a popular opinion, but I am actually a fan of the rotations. Adds in competition for places and provides opportunities to younger players. This is all to an extent, of course, and hope JCO doesn’t try to experiment too much during big tournaments like the Confederations Cup. @cesarhfutbol @FutMexNation why does Jonathon Dos Santos get passed over so much over the years? In the past, it was a lack of playing time and injuries in Europe. 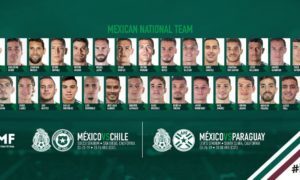 Now, it’s tough for any midfielder to get playing time with so many talented names in the current Mexican roster. However, I do believe that he is worthy of at least one start during the next two matches. Honestly, I feel like I’ve always listened to a steady amount of oldies throughout my entire life. Grew up listening to it with my dad and it never really left me. This feels like this might be a perfect opportunity to share one of my favorites. @cesarhfutbol @FutMexNation name one player off the NT "A" squad radar currently that could make it to WC Russia 2018 roster. I’m going with Cesar Montes. That kid seems to gain so much confidence with each match and it’s almost scary to think of how good he can become by the summer of 2018. @cesarhfutbol @FutMexNation how can time be reconciled with general relativity? @cesarhfutbol @FutMexNation How will Mexico finish in the Gold Cup and Confederations Cup? Somewhat optimistic here, but I say they win the Gold Cup and then get knocked out of the semis of the Confederations Cup. @cesarhfutbol @FutMexNation Chance The Rapper or Kanye West? Chance, but to be fair, this probably has more to do with the fact that I somewhat dislike Kanye. I’ve only heard one album from Chance but really liked it. @PVAChicago @cesarhfutbol @FutMexNation for bonus points old Kanye or New Kanye? ? @cesarhfutbol @FutMexNation What would make you swipe right? @cesarhfutbol @FutMexNation can you Power Rank your top 5 active Midfielders for Mexico?